Disney Imagineers dream up, design, and build authentic experiences that allow guests to become part of a Disney story. From theme park attractions and fully immersive lands, to resort hotels and cruise ships, and even toys, games, and new forms of interactive play—Imagineers combine creative brilliance with advanced technology to bring incredible experiences to life. 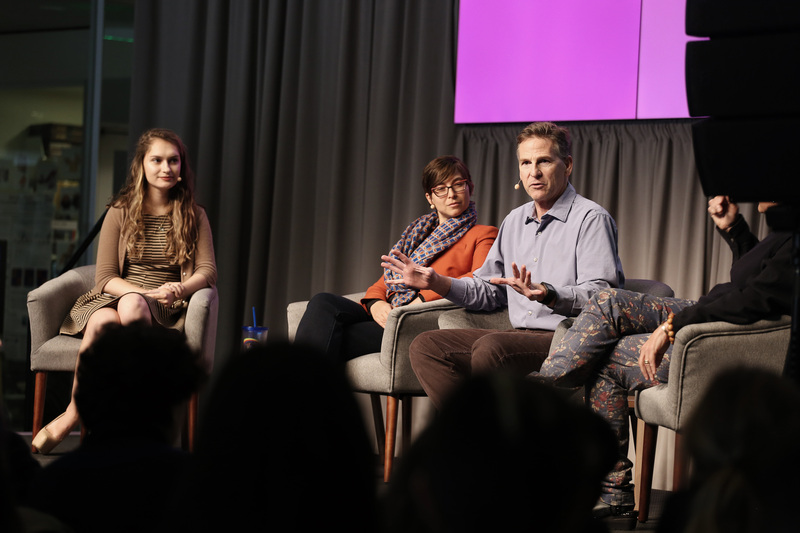 In this talk, Media Lab student (and former Imagineer intern) Emily Salvador hosts executive producer Amy Jupiter, creative director Sara Thacher, and senior story editor Dave Fisher for a conversation about combining art and science, and design and engineering–with story at the heart of everything they do to create memorable and meaningful experiences. Amy Jupiter started her dynamic career with The Walt Disney Company in 1989. She worked her way up through the ranks to executive producer on various immersive attractions at the Walt Disney Theme Parks, including Jim Henson’s Muppet Vision 3D and Disneyland Paris’ CircleVision Visionarium starring Robin Williams. Throughout her career, Jupiter has gained significant knowledge and experience producing stereoscopic 3D animation, visual FX and native stereo cinematography and presently is one of Hollywood’s leading consultants on the development of productions for this platform. Working closely with the Creative Technology Group, Media Productions and Show Systems, Jupiter is employing paradigm-shifting techniques to create the next generation of large scale immersive and attractions for both Shanghai Disneyland and Walt Disney’s Animal Kingdom. The first of those, Pirates of the Caribbean: Battle for the Sunken Treasure opened to rave reviews and won the VES Award for Outstanding Visual Effects in a Special Venue Project. It also won the TEA Award for Outstanding Theme Park Attraction. Avatar: World of Pandora opened to similar reviews and won TEA awards for Outstanding Achievement in Attractions for Flight of Passage and another in Theme Park Area Development. Avatar Flight of Passage was also recognized by VES, and won the award for Outstanding Visual Effects in a Special Venue Project. Sara Thacher currently serves as a senior R&D Imagineer on Walt Disney Imagineering advanced development projects. In this role she works with engineers, computer scientists, and inventors in research and development to demonstrate how new technology can become revolutionary new guest experiences. Currently, she serves as the creative director in the Star Wars portfolio. 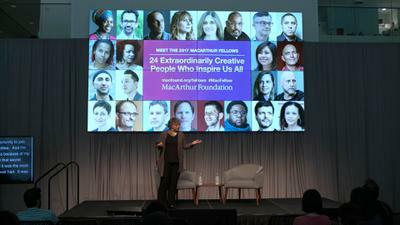 Prior to joining Imagineering, Thacher worked with the National Science Foundation to develop a collaborative storytelling game, Fourth Wall Studios to create a location-based adventure mobile application, and others that allowed her to design and develop new media experiences for users. According to an article on Walt Disney Imagineering in The New Yorker, Dave Fisher is a “nice fellow” who “has worked for Disney all his adult life.” Fisher can’t vouch for the former, but he can attest to the latter, having started at Disneyland in the custodial department in 1978. In the 40 years since, he has taught cast members at Tokyo Disneyland how to sweep; written brochures, videos and other marketing materials for the Magic Kingdom Club and Disneyland Marketing; and, in 1987, landed at Walt Disney Imagineering as a show writer. He’s been there ever since. As a senior story editor, Fisher helps shape the stories that are told in Disney parks, resorts and cruise ships. He develops concepts and writes treatments, scripts, signage, spiels, and anything else that involves words for Disney projects around the world. He has worked on everything from attractions, shops, and restaurants, to his current projects that include developing hotel concepts, creating the stories behind the Disney Cruise Line’s three upcoming ships, and writing scripts, spiels, and supporting materials for the soon-to-open NBA Experience at Disney Springs at Walt Disney World Resort. Emily Salvador is an MIT alum (‘16 CS and Music) and current MAS master's student in the Object-Based Media group, exploring novel, immersive, interactive experiences and storytelling. Her work at the Media Lab focuses on the intersection of transparent displays, illusions, and projection to seamlessly blend digital content in our physical world. She contributes actively to the Open Ocean Initiative at the Media Lab. She has designed and implemented new technology and experiences for both Walt Disney Imagineering and Universal Creative. As an intern at Walt Disney Imagineering’s R&D department, she researched immersive display and projection technologies. In Florida, she helped install the attractions at Pandora, The World of Avatar at Disney’s Animal Kingdom. At Universal Creative, she designed and prototyped interactive play areas for Super Nintendo World.